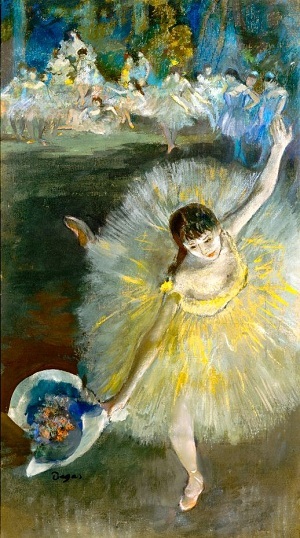 on the life and art of Edgar Degas. The Faculty of Arts, in partnership with the National Gallery of Victoria's Winter Masterpieces exhibition Degas: A New Vision is proud to present a four-part masterclass series on the life and art of Edgar Degas, one of the most recognizable grand masters of French modernism. In partnership with the National Gallery of Victoria's exhibition Degas: A new vision, the Faculty of Arts proudly to presented a four-part masterclass series on the life and art of Edgar Degas, one of the most recognizable grand masters of French modernism. Drawn from across the globe and with over 200 artworks, this exhibition represented one of the most internationally significant retrospectives of Degas, highlighting his influential contribution across the different mediums of painting, sculpture, drawing, printmaking and photography. This masterclass reflected the breadth and diversity of the exhibition as it explored the development of Degas' art from its beginnings. Contextualising his work within the dramatic social and political change that occurred during his lifetime, making Paris the centre of the art world, and inevitably providing the backdrop for his innovative and creative depictions. Through this masterclass this much celebrated artist was revisited through a new lens, discovering him to be more than just a painter of pretty ballet dancers and frivolous café scenes. Each session included evening lectures by some of The University of Melbourne's finest scholars and NGV's senior curators, light refreshments and the privilege of exclusive after hours exhibition viewing, showcasing tailored pop-up talks and performances in the exhibition space.